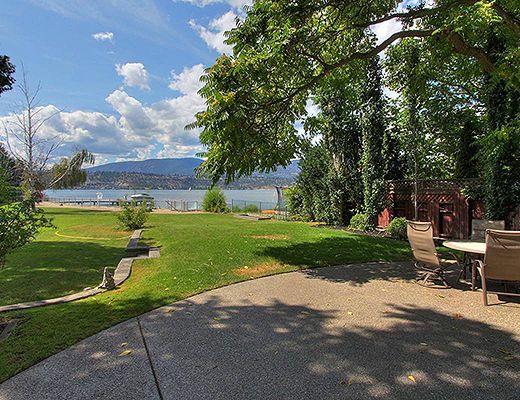 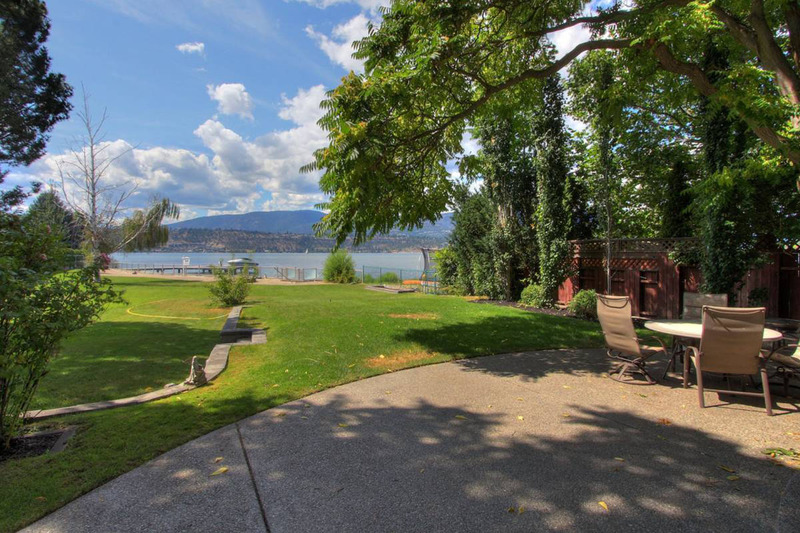 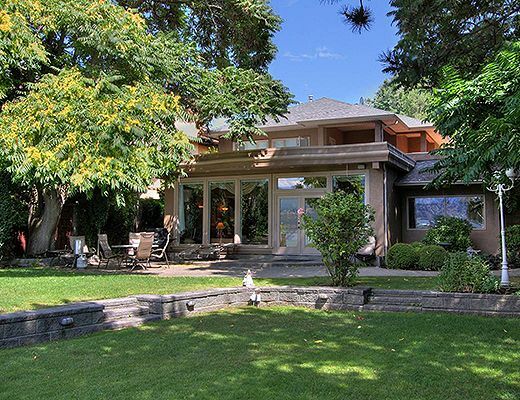 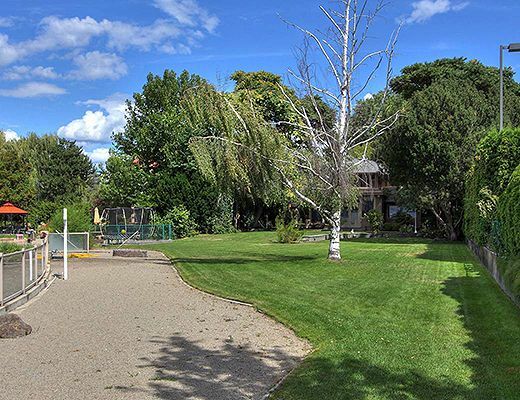 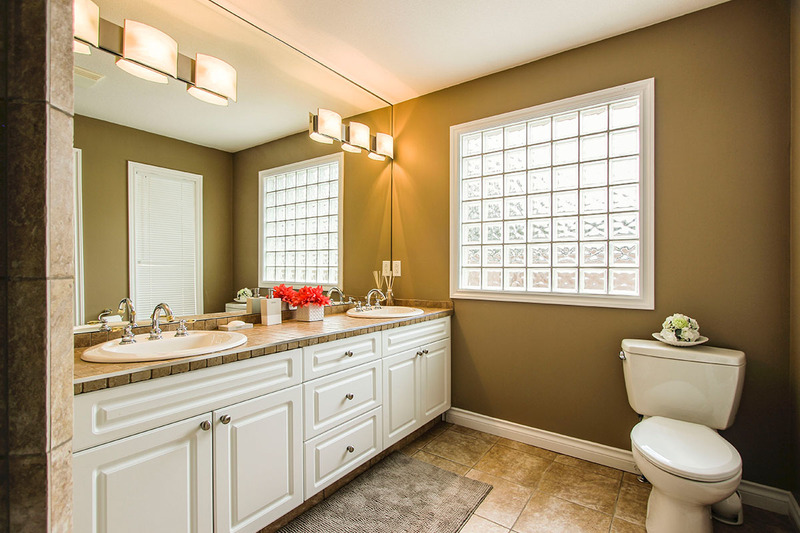 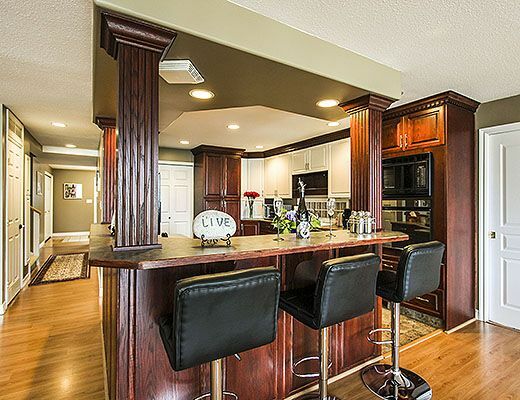 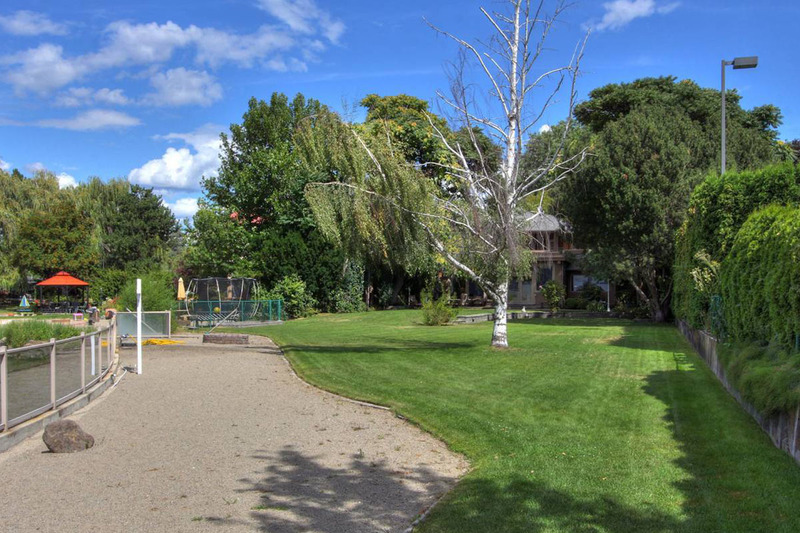 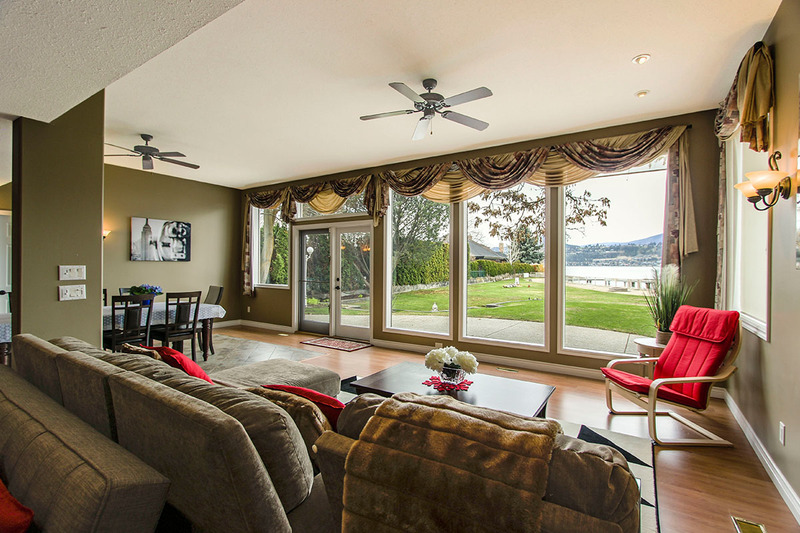 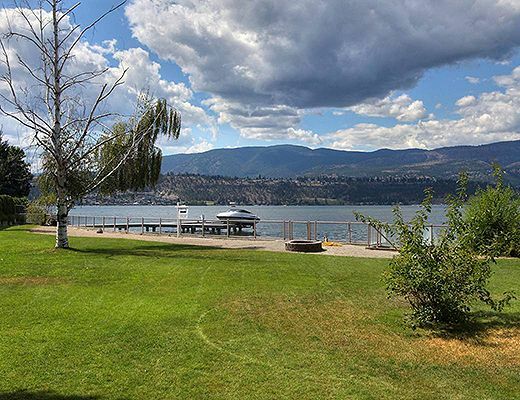 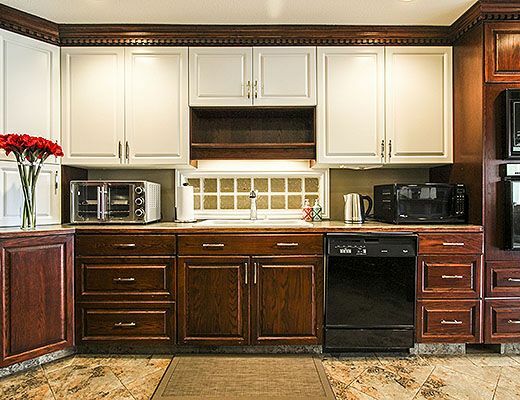 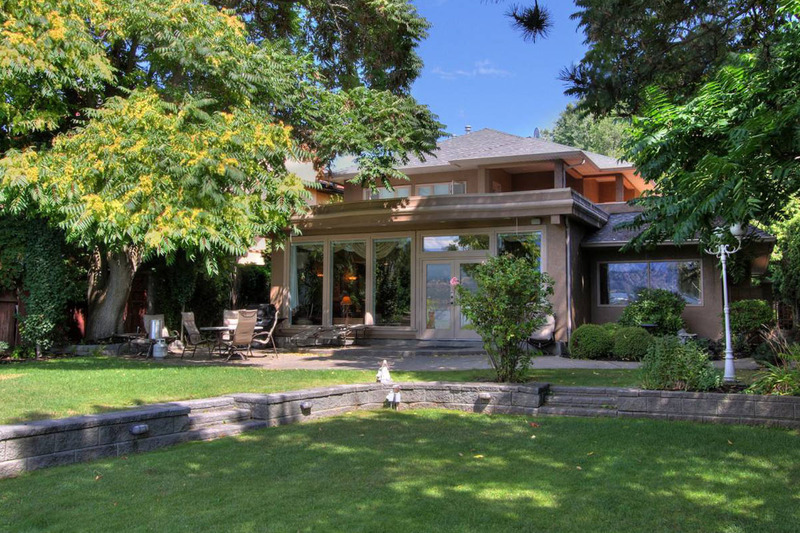 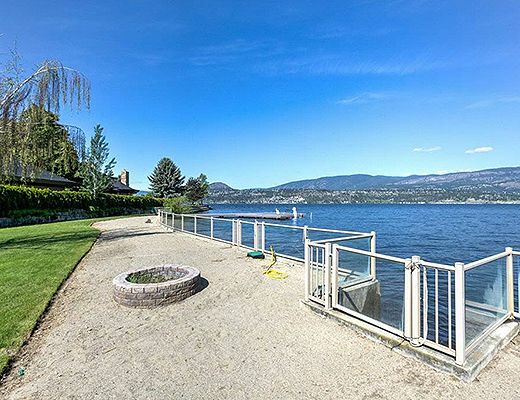 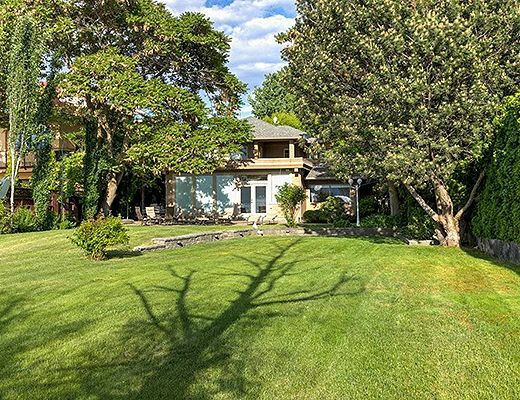 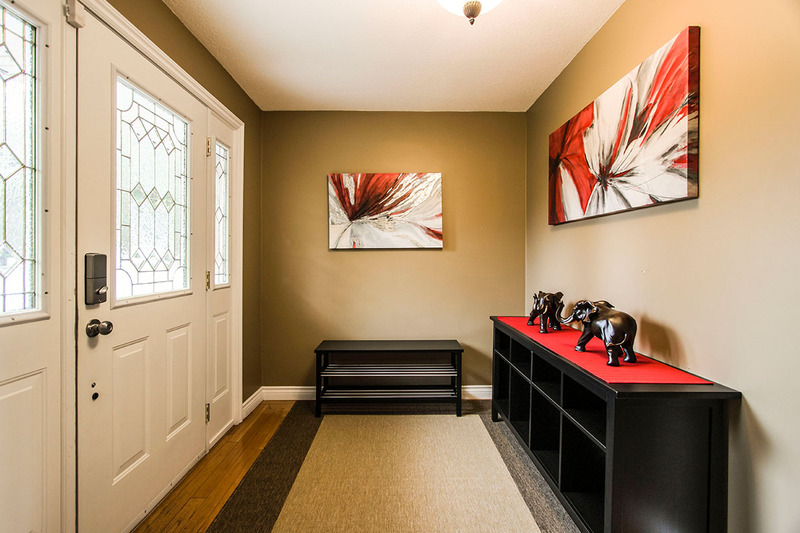 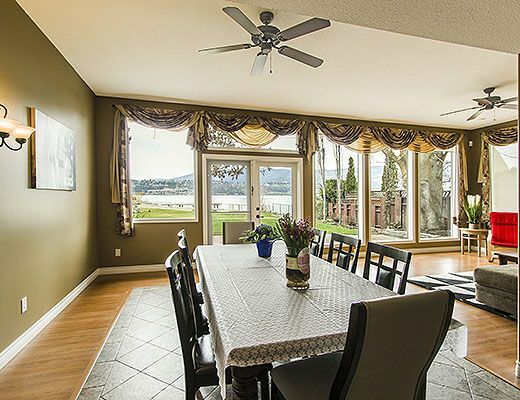 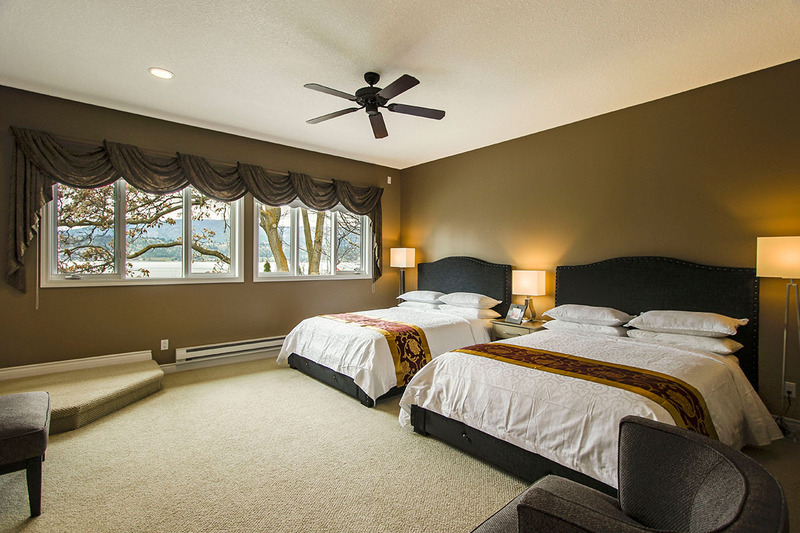 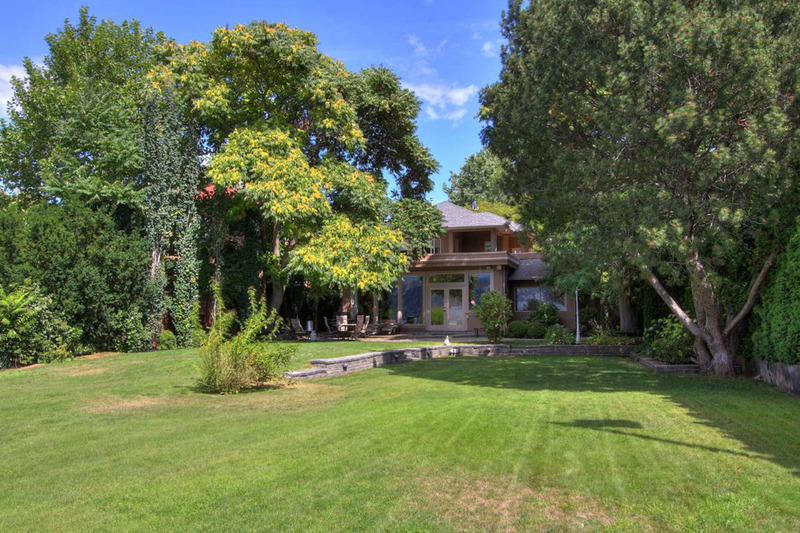 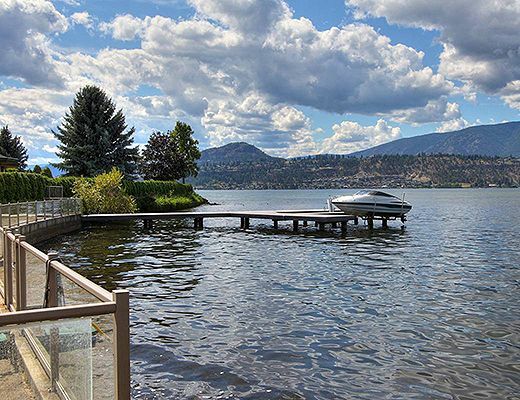 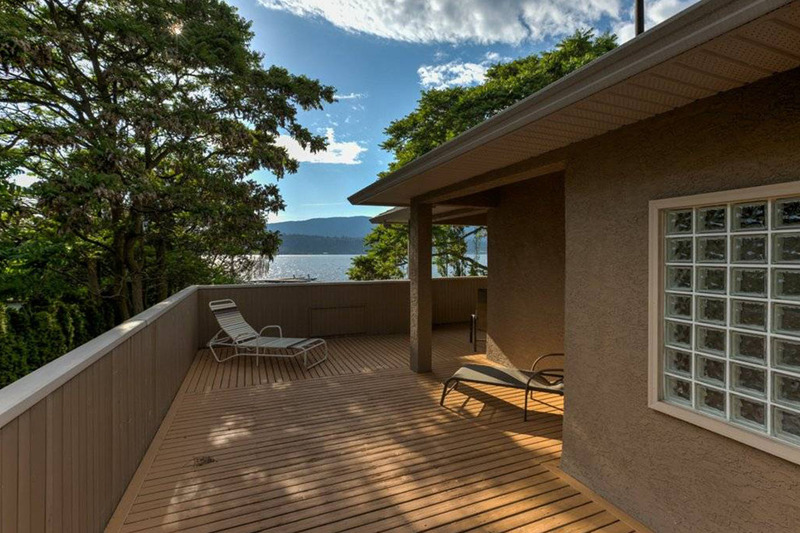 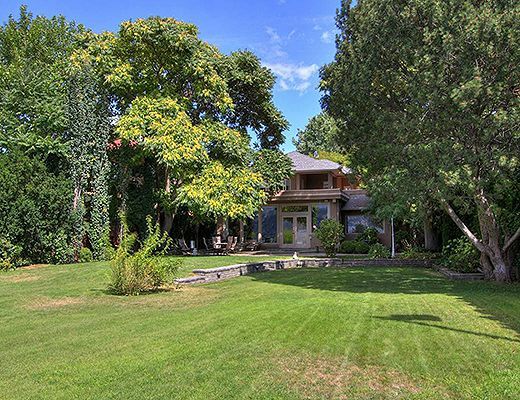 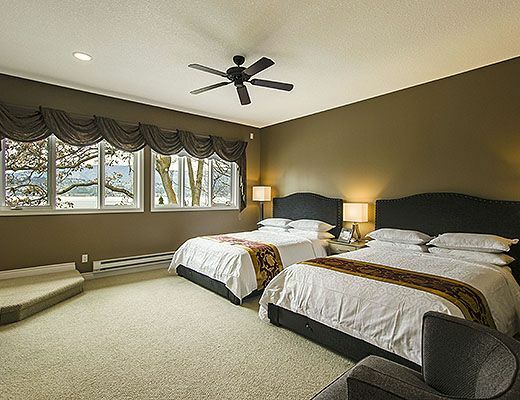 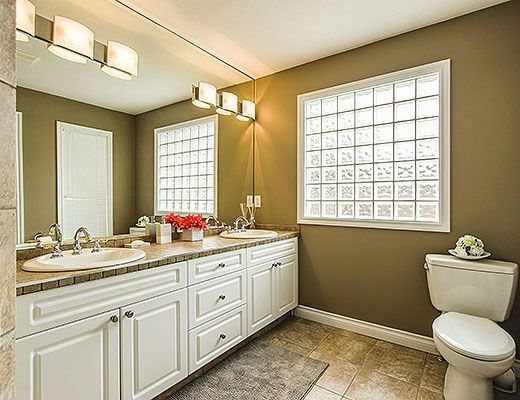 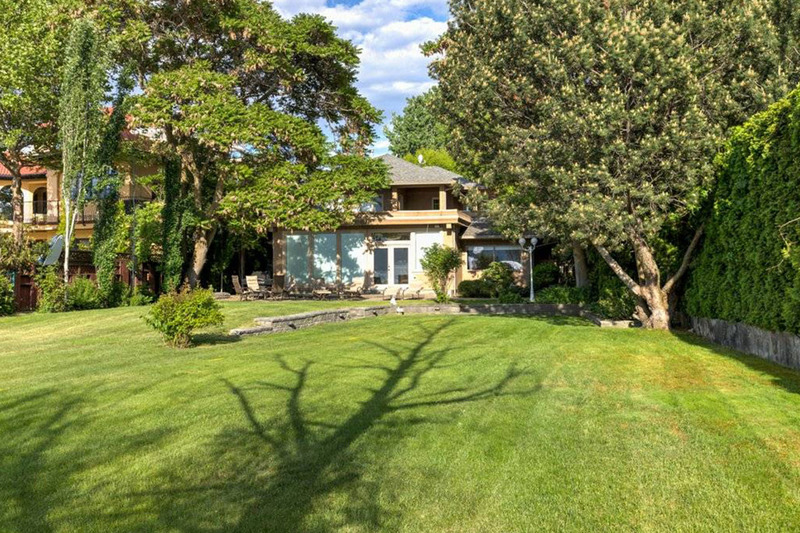 This 5 bedroom, half acre, lakefront property is set in the popular Lower Mission area of Kelowna. 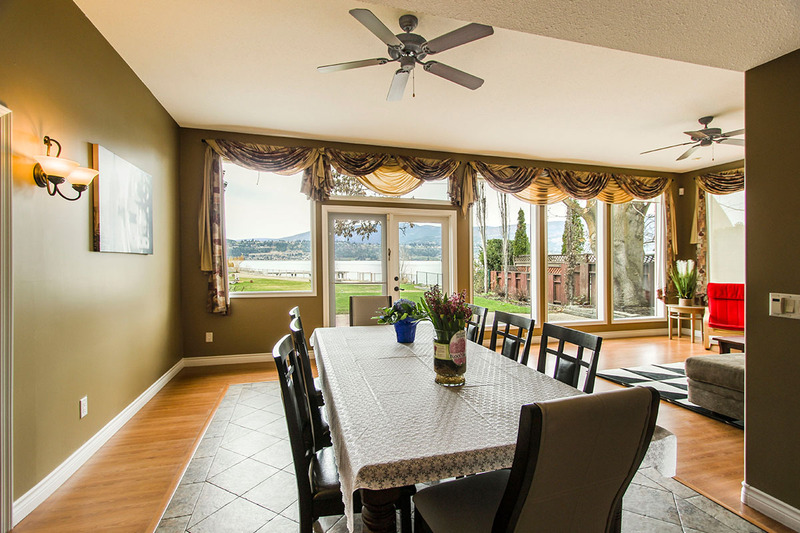 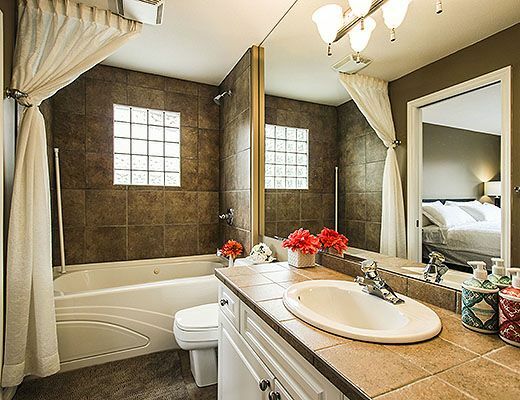 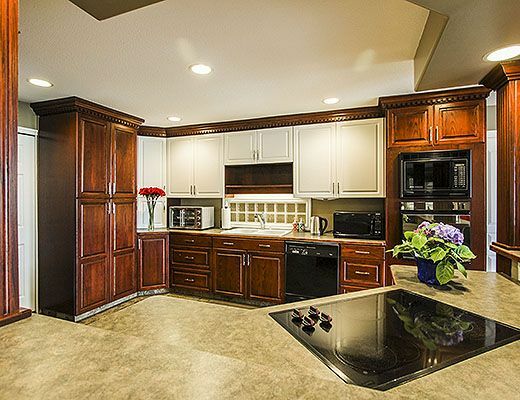 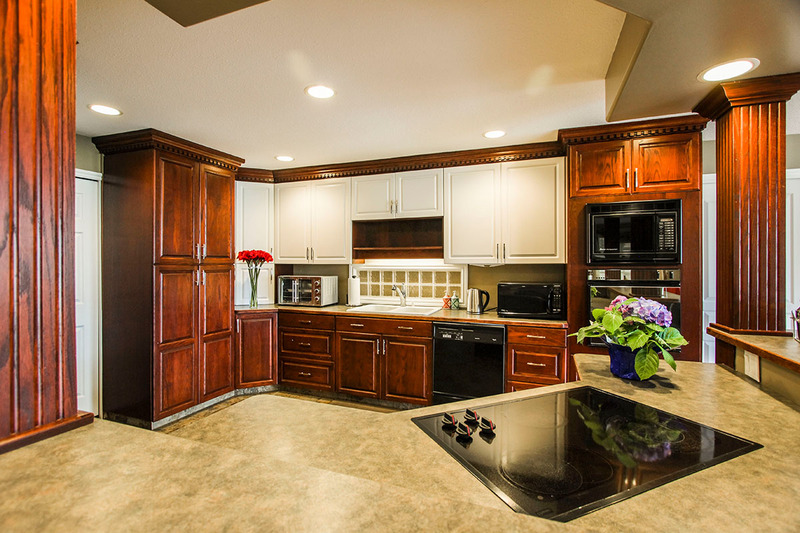 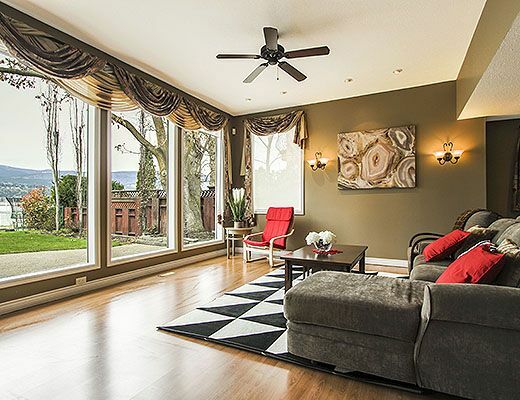 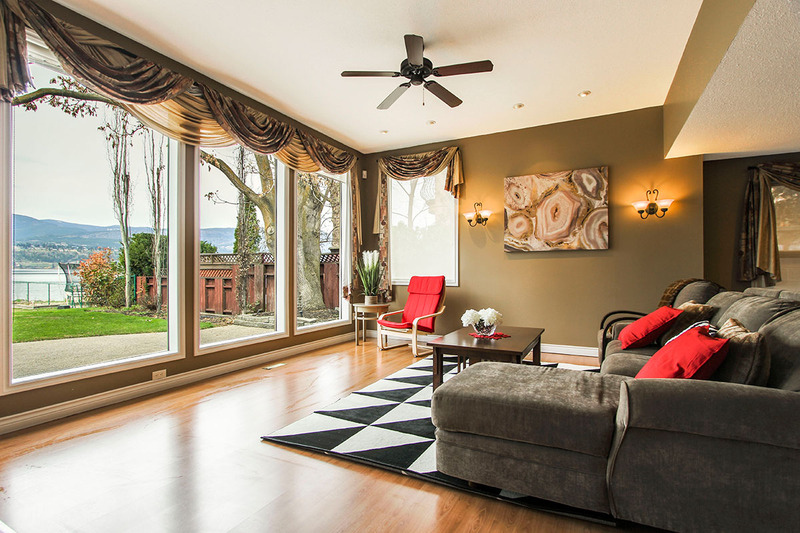 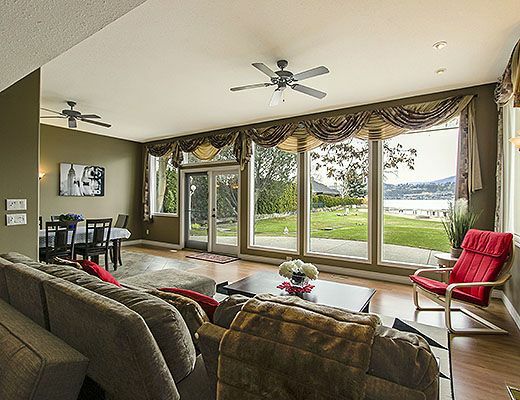 Guests enjoy expansive views of the lake, city and mountains from this 3000+ square foot home. 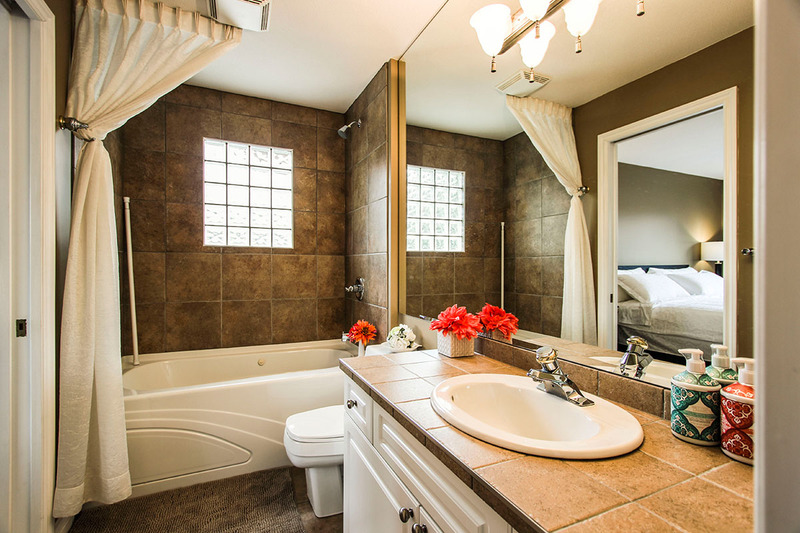 The convenient location means your group is within minutes of the South Pandosy Village, boutique shops and restaurants. 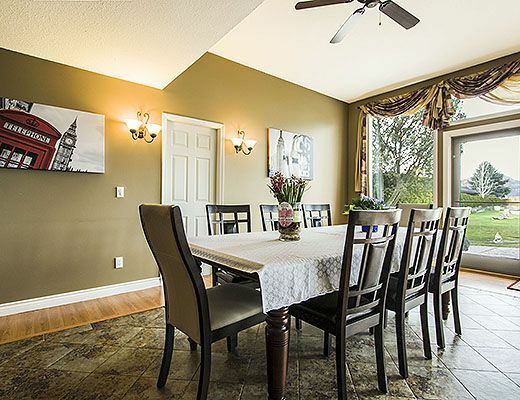 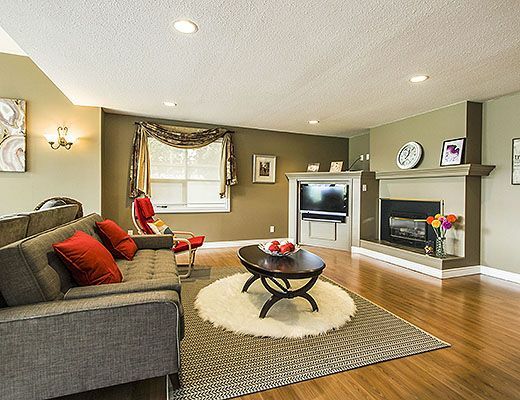 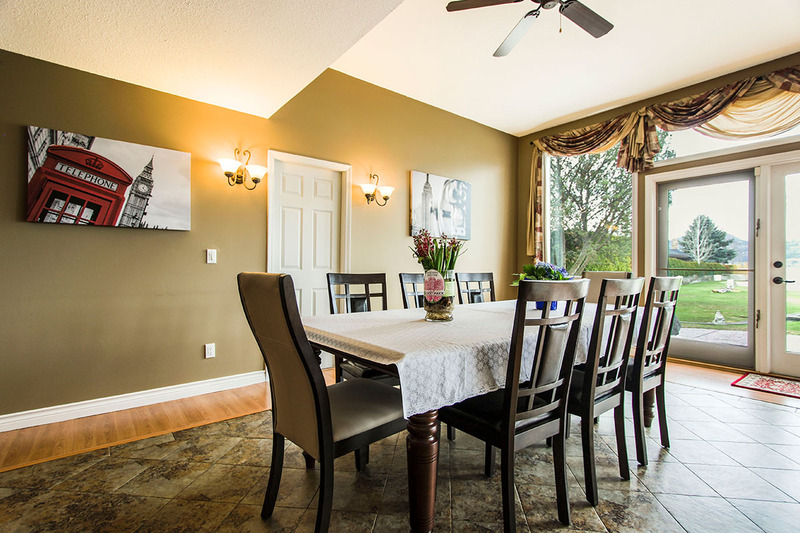 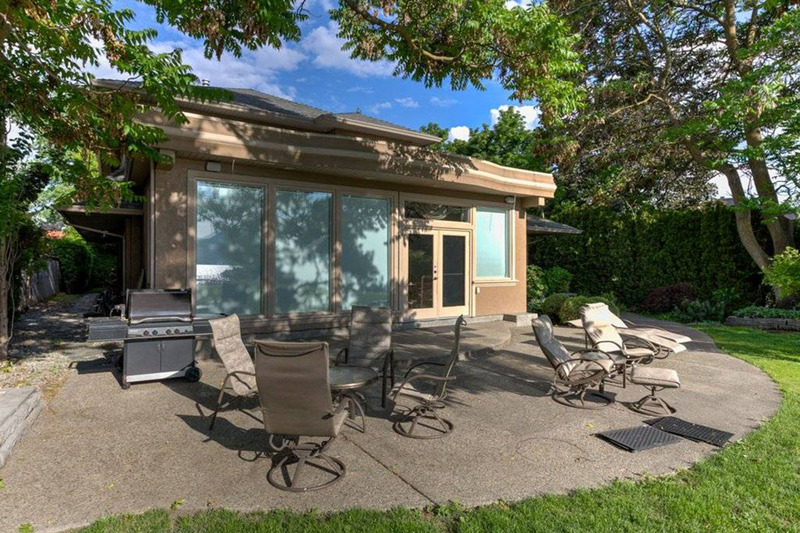 This two storey, renovated home features large rooms, floor to ceiling windows and a spacious lakeside backyard. 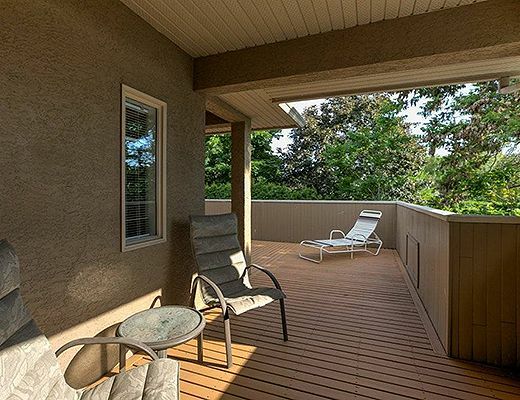 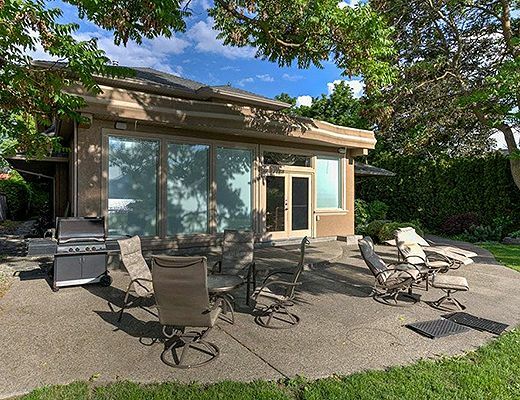 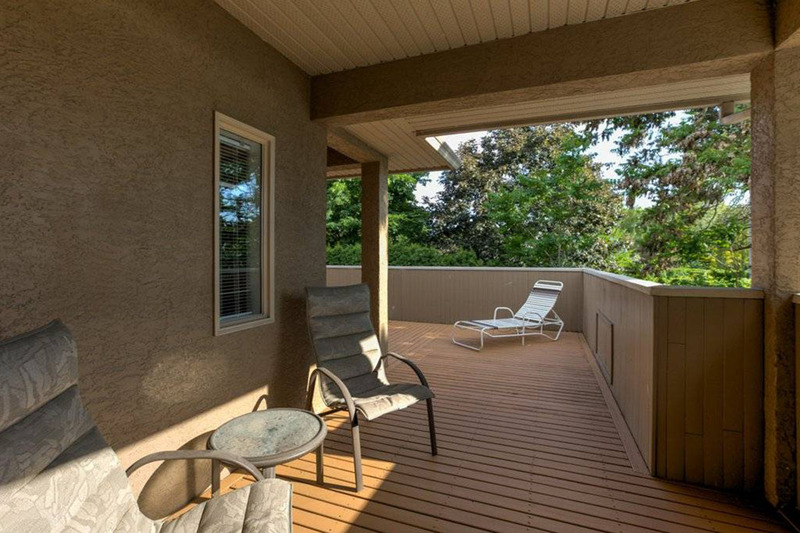 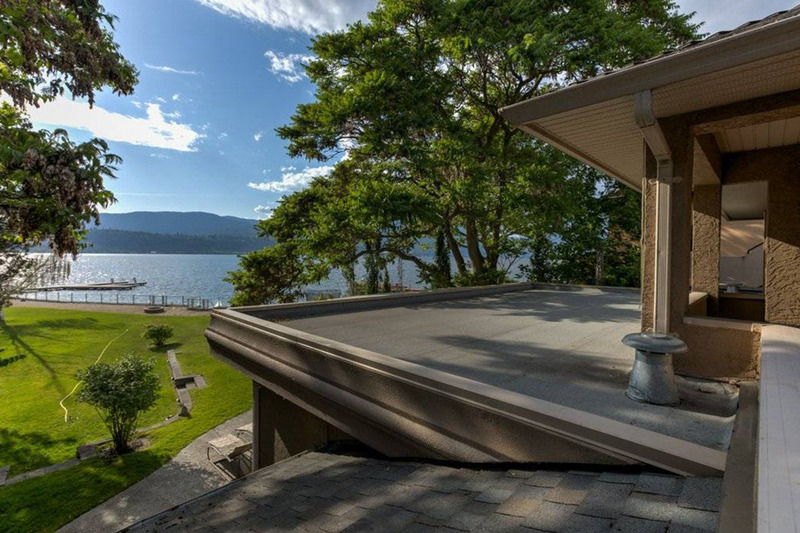 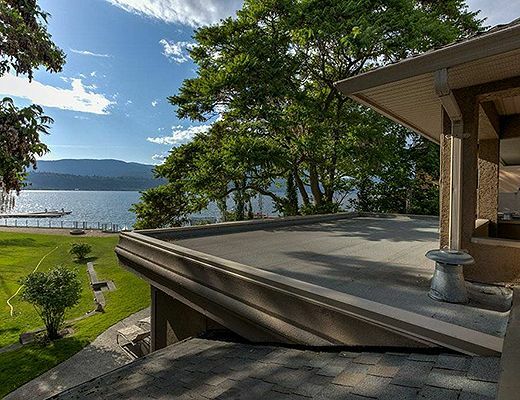 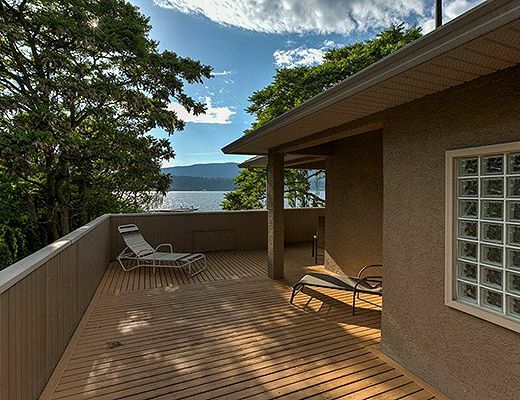 Open and covered decks each provide a comfortable place to enjoy the lake view, all surrounded by lush landscaping and a plenty of green space. 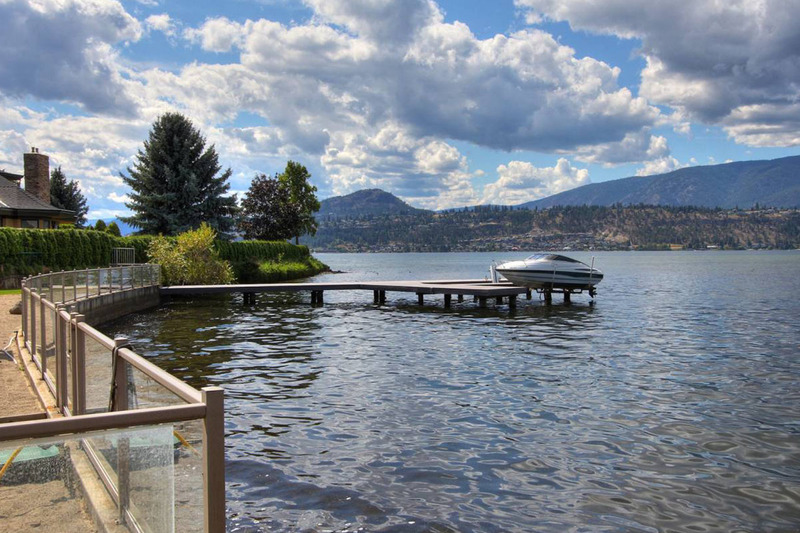 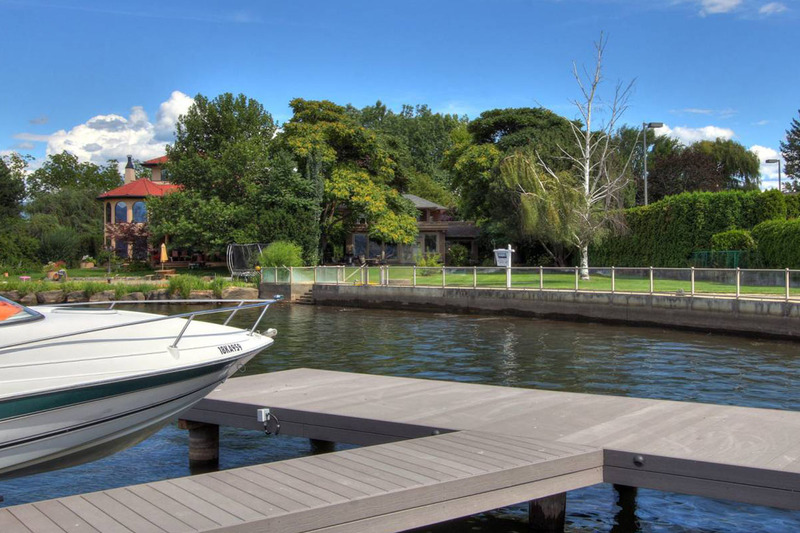 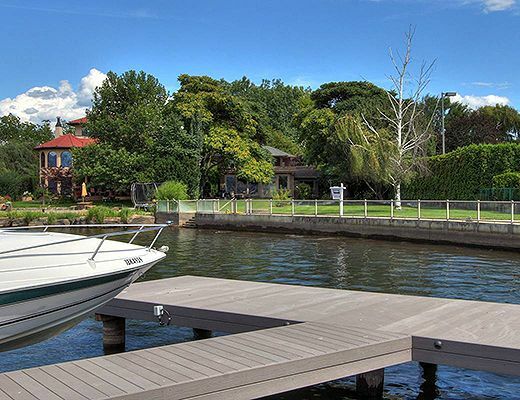 This home also offers a boat dock with power lift, and approximately 150 ft. of glass paneled fencing along the lakeside, creating a unique waterfront paradise. 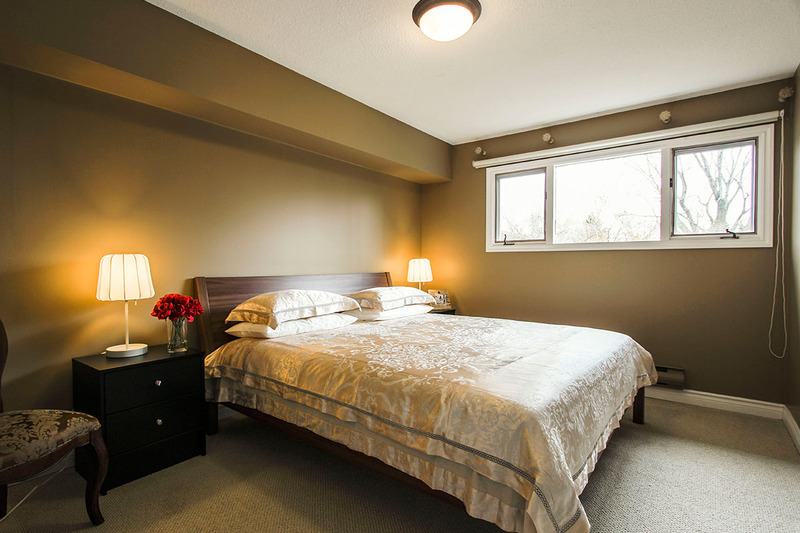 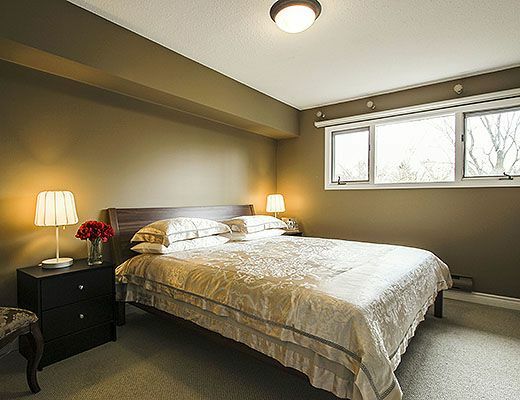 *All rates are quoted in Canadian dollars and are subject to additional local taxes and fees. 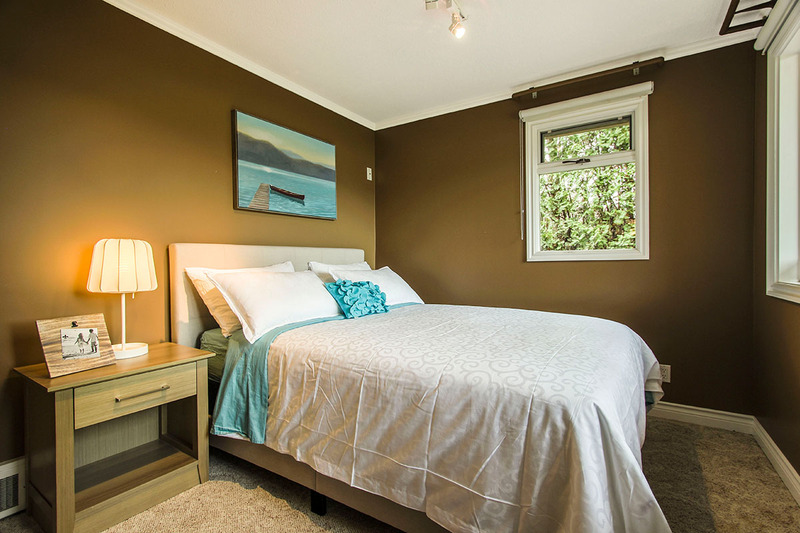 **Monthly rates apply to stays of 3 months or longer. 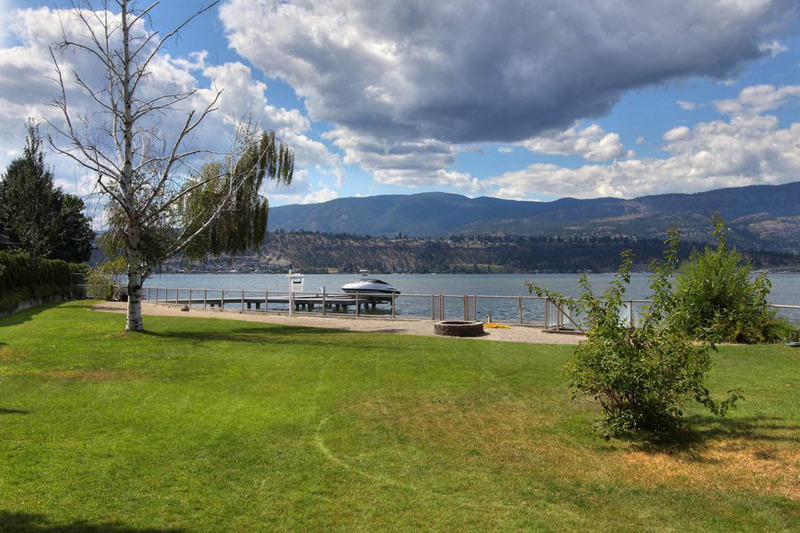 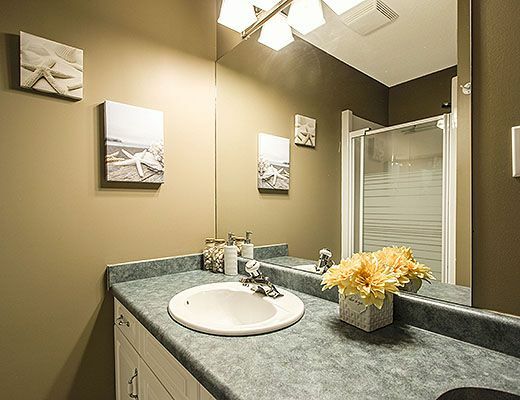 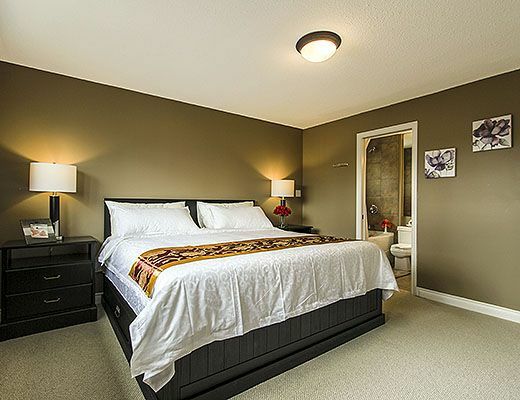 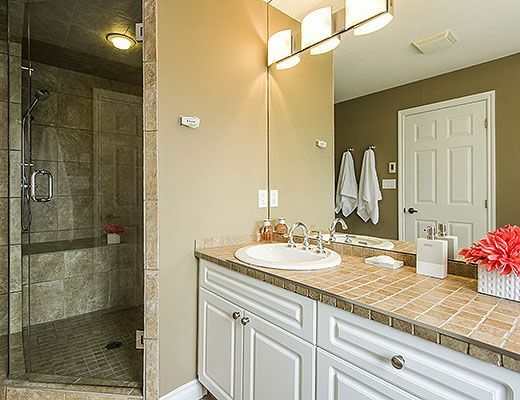 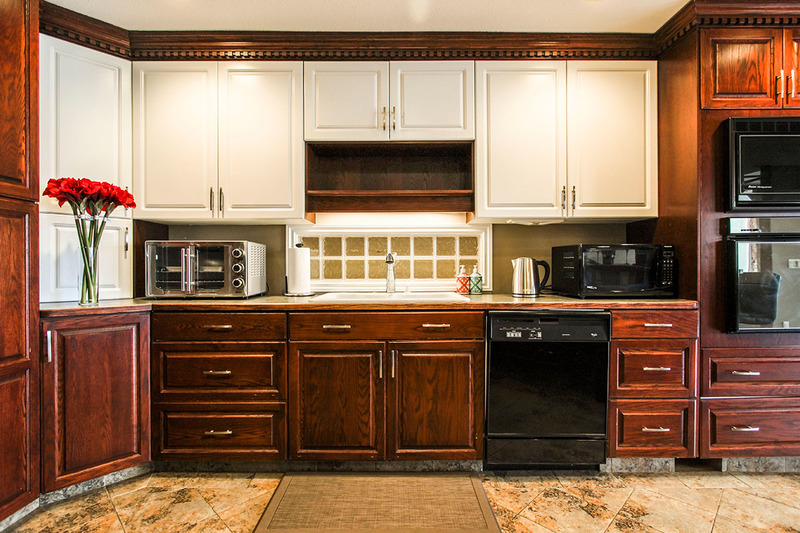 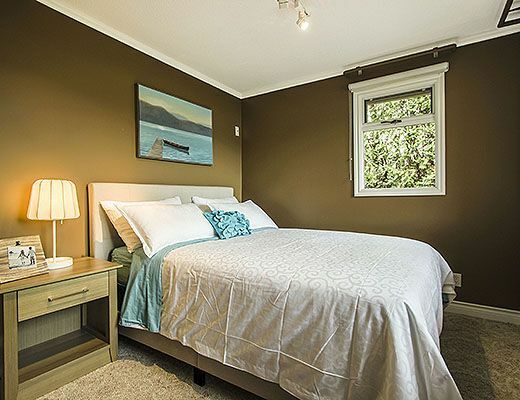 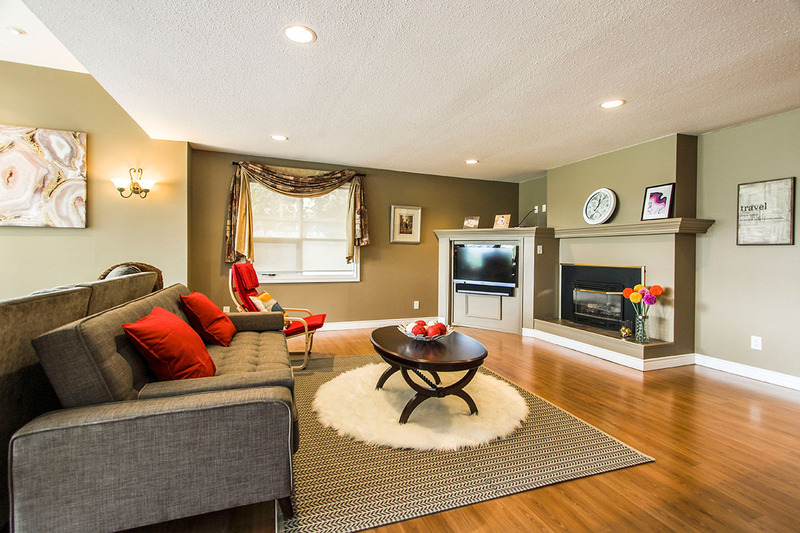 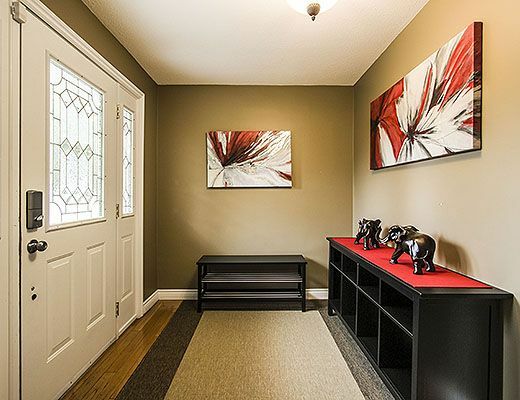 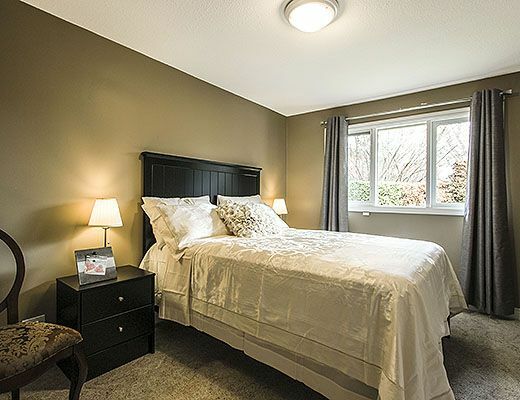 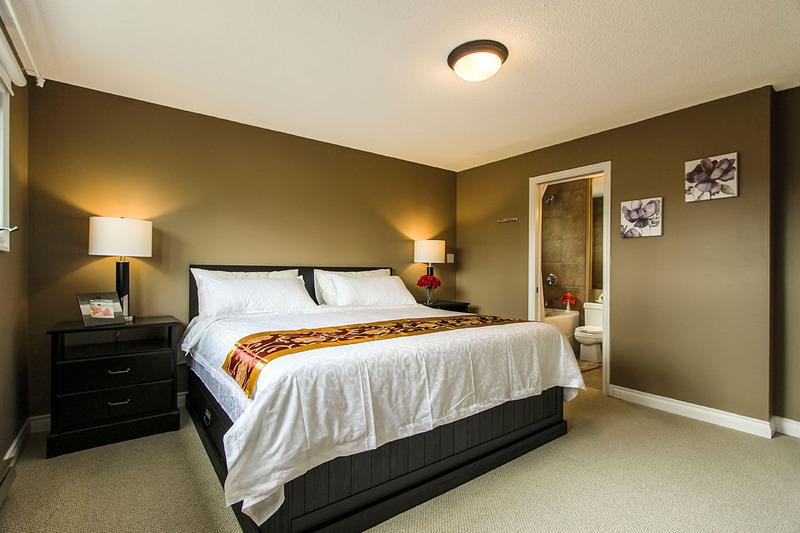 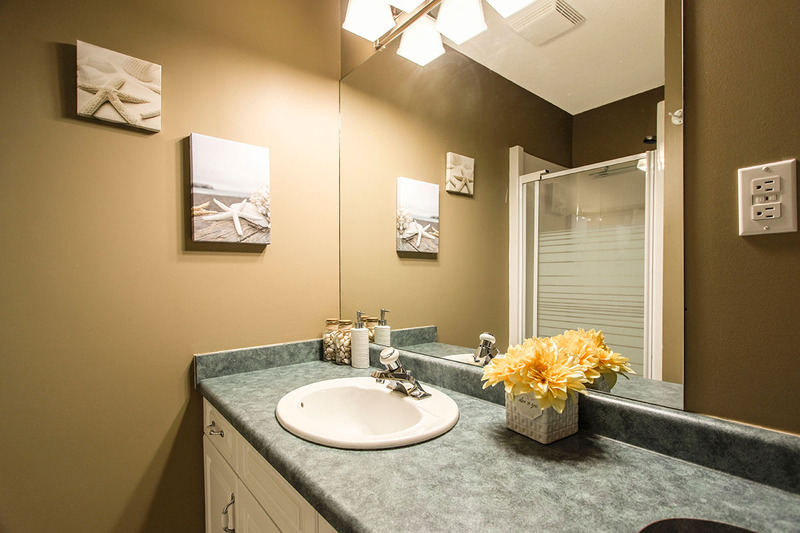 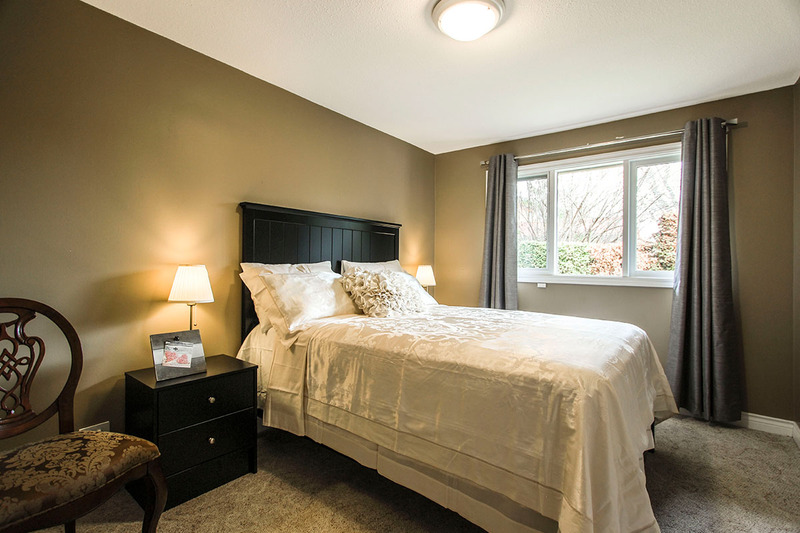 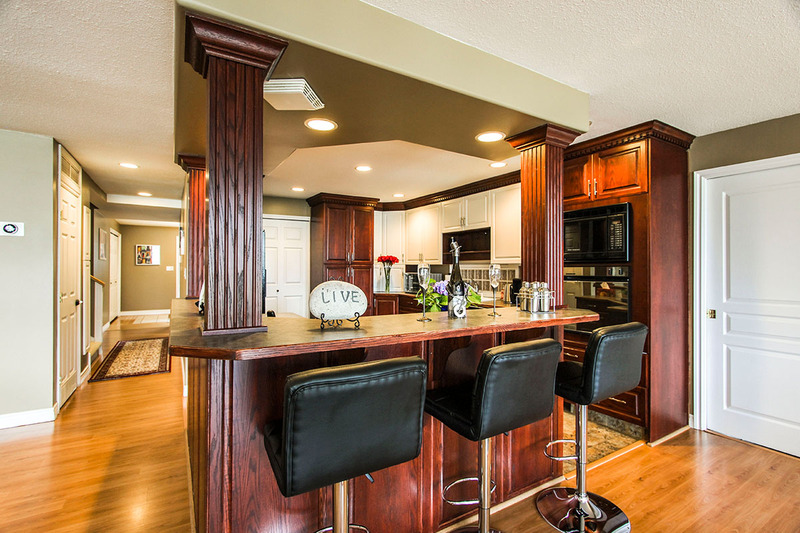 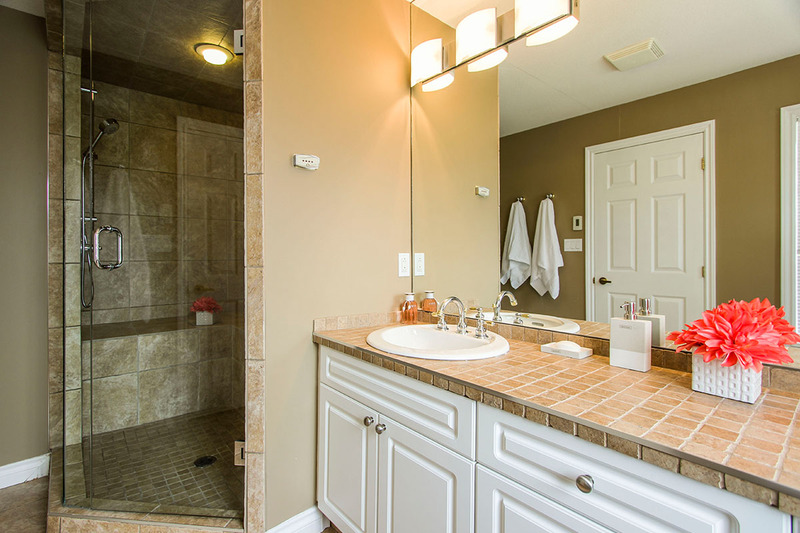 Copyright © 2019 Okanagan Vacation Home Rentals "All Rights Reserved"